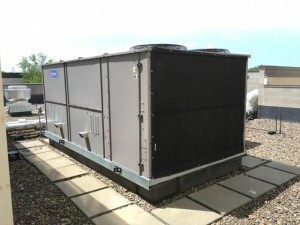 According to The News, HVAC contractors in different climates and regions throughout the U.S. agree that irregular upkeep is the most problematic issue when it comes to rooftop unit failure. RTUs typically last 15-20 years as long as they’re maintained. The most common cause of failure is a lack of proper maintenance. Luckily, Permatron has the solution that simplifies routine maintenance with the use of PreVent® Air Intake Filters. 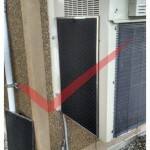 More air conditioning units fail because they are not clean which leads to mechanical problems. Clogged air intakes restrict critical air flow, and stain compressor motors. A proactive approach to extending equipment life is using PreVent. Permatron’s patented equipment protection air filters catch debris, like cottonwood seeds, environmental elements before it can enter the air intake fins or louvers. The filters are made of permanent, washable synthetic media, which draws in and traps airborne particulates. Our air filters are custom fit with a variety of installation options available. 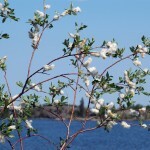 PreVent air filters will not restrict air flow to the equipment. As a part of your regularly scheduled maintenance routine, simply brush the debris off with a broom or shop vac. Now you can secure PreVent filter screens without drilling into equipment with New MagnaMount® “earth” magnets! Become aware of safety practices of being on the roof. Shut off electrical power during maintenance. Keep a regularly scheduled RTU maintenance routine in place. Conduct additional inspections after severe weather. Clean coils thoroughly (before installing PreVent). When you’re done, make sure all panels are fastened securely in place.